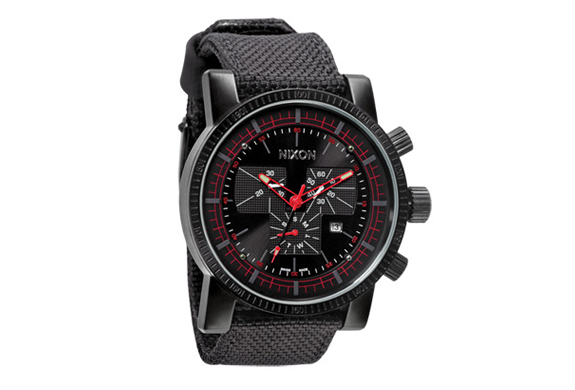 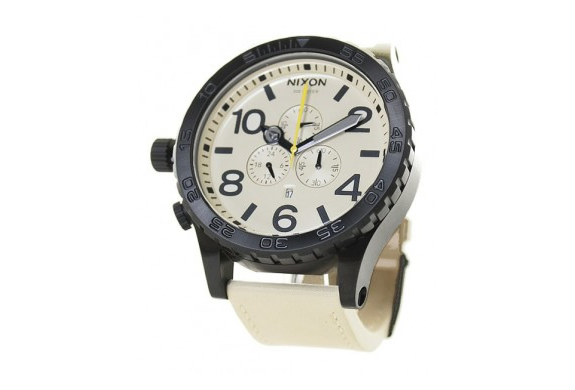 This Nixon hi-end watch has 6 hand Japanese quartz with second sub dial, chrono and date. 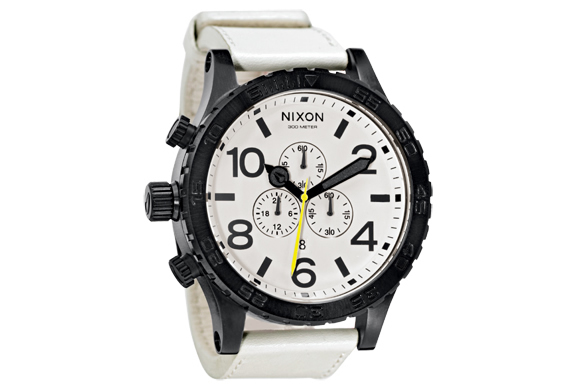 Its case is custom 300 meter stainless steel with hardened mineral crystal, external rotating bezel with countdown timer, and screw crown at 9 Oclock position. 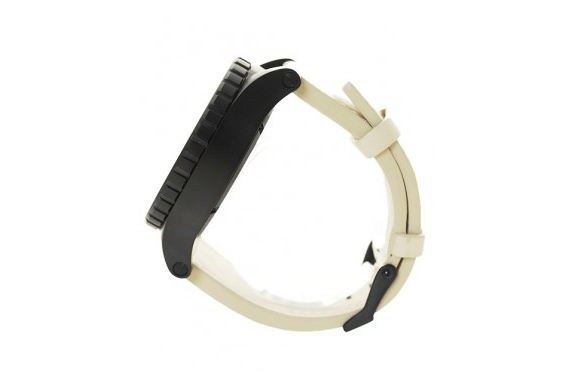 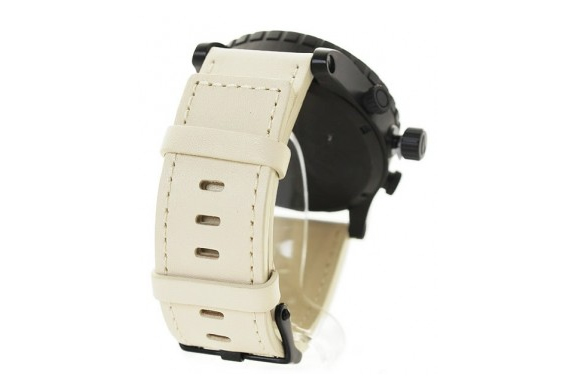 Its wristband isof imported leather with patented locking looper and stainless steel buckle. 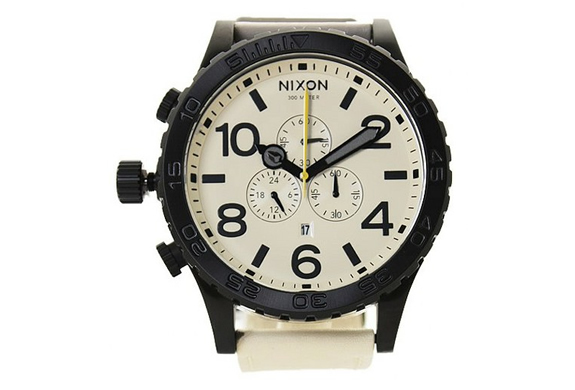 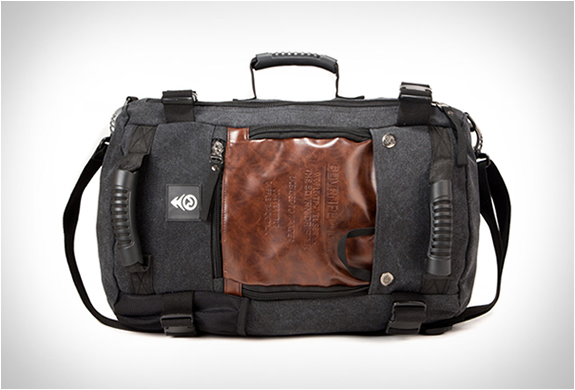 Available at Nixon online store.